For decades technology enthusiasts have been connecting displays to their computers using the ever-reliable VGA port: sure, there are limits to how much resolution VGA can handle and it is old-school analog after all, but it has served as a reliable, consistent way to peer into a computers’s activities—and maybe watch a video or two. Now, technologies companies are coming together to bury VGA, not to praise it: Intel, AMD, Samsung, LG, Dell, and Lenovo have all announced plans to abandon VGA and speed up adoption of HDMI and DisplayPort as default interfaces for PC monitors. AMD says it plans to begin phasing out native LVDS output and VGA in 2013, with the port vanishing from all AMD products by 2015. The combination means that DVI-I support would vanish in the same timeframe, although DVI-D could still be on the table. The companies in the down-with-VGA pact acknowledge that the enormous installed base of VGA-compatible monitors and projectors will been to be supported after VGA connectors vanish. 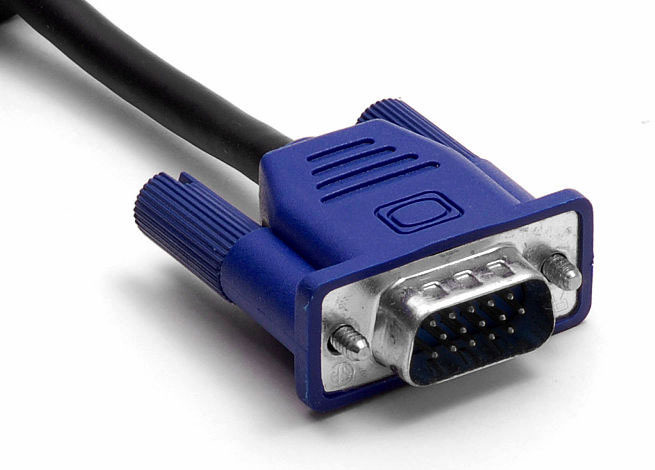 The companies are looking to DisplayPort as a way to provide backward compatibility for both VGA and DVI via adapters. Apple has been shipping its systems without VGA output for sometime, and offering DVI and VGA adapters to customers with older displays—although some customers have balked at Apple’s pricing for those adapters.